It's been almost a month now since Luke and Aaron visited one of the world's biggest and most prestigious independent film festivals. Over the past few weeks we've been releasing a long line of Sundance coverage on the main High-Def Digest page and over on The Bonus View. Sundance routinely premieres movies whose hype continues all the way to award season. 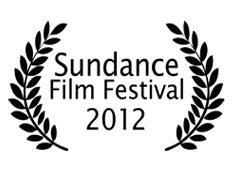 Movies like 'Precious,' 'Winter's Bone,' '(500) Days of Summer,' and 'The Guard' all recently premiered at the festival. After attending the festival Luke and Aaron have a pretty good idea of what movies will end up being talked about as the year goes on. If you missed any of our Sundance coverage here's your chance to catch up on it. Find out what movies will be hotly talked about for months to come. What movies might be around come the 2013 Academy Awards. And most importantly, what movies you'll be excited to see once they finally get released. Each day of the festival Aaron wrote a detailed journal entry chronicling the movies he'd watched, the celebrities he'd seen milling about town, and the overall experience of a film lover attending one of the best film festivals in the world. Sundance 2012 Journal– Day 1: The festival begins; Aaron sees Malin Akerman standing in line for the premiere for 'Your Sister's Sister'; A very informative Q&A follows one of the best movies at the festival. Sundance 2012 Journal – Day 2: A film festival is the only place strangers will ask you about the movies you've seen that day and how much you enjoyed them; Andy Samberg, Elijah Wood, and Rashida Jones were spotted at the 'Celeste and Jesse Forever' Q&A; Snowpocalypse arrives in Park City and engulfs the town in towering mountains of white snow. Sundance 2012 Journal – Day 4: Aaron performs the fatal mistake of leaving the bus when he knows for sure it's going to take him to where he needs to go, but it isn't going fast enough; Josh Radnor is just like his Ted persona on 'How I Met Your Mother'; Aaron has one of his most uncomfortable moments of the festival when he watches a very sexually-explicit movie sitting just a few seats away from the main actress. Sundance 2012 Journal – Day 5: A fight is picked about the silly way balloting is done at Sundance; Luke gets his haircut by the Axe people, but is booted from his seat so David Duchovny can come down and have a photo op; Aaron stays way too late to take in a screening of 'John Dies at the End' and regrets it the next morning. Sundance 2012 Journal – Day 6: Ty Burrell, Vera Farmiga, and David Duchovny show up for the Q&A of 'Goats'; Mountains of free sandwhiches; and a Parker Posey nightcap. Sundance 2012 Journal – Day 7: The third, or fourth, sighting of Brie Larson happens; Quentin Dupieux – director of 'Rubber' – uses Aaron's pen to sign autographs for fans; Aaron finally sees 'The Beasts of the Southern Wild' which is the festival darling, which will indeed be talked about when the Oscars roll around again; Finally, the night is spent watching Joseph Gordon-Levitt talk about his hitRECord.org project. Sundance 2012 Journal – Day 8: Aaron laments about his busted camera and how bad his luck is with cameras at Sundance; Another festival darling, 'Smashed' is seen and liked; The festival comes to a close. Along with seeing movie after movie and taking in all that Sundance has to offer, Luke found time to interview some of the big names at Sundance 2012. Check out the chats below.